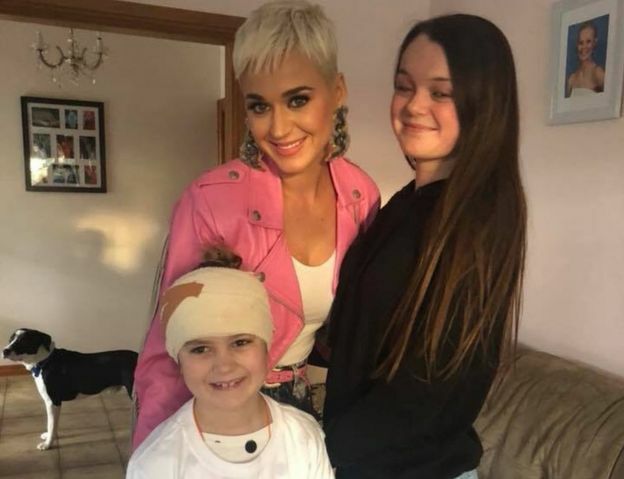 Katy Perry paid a visit to a sick fan in Australia after she had to miss the star’s concert on Monday. Eight-year-old Grace Moores had brain surgery last week after being told she had a 6cm tumour. Her sister Tiana, 16, tweeted that Grace had been looking forward to the concert before she was diagnosed in April. Katy’s team got in touch with Tiana and went round on Tuesday before her concert in Adelaide that night. Tiana says that Grace has been Katy’s biggest fan since she was three, and loves her songs because of their positive message. She started the hashtag #HelpGraceMeetKatyPerry to try to catch the attention of the American singer online. Her original tweet had more than 20,000 retweets. And then, on Monday, Katy’s people got in touch. Tiana told Newsbeat that the family kept it a secret from Grace. “Katy came to the house in her big cars and it was really incredible, Grace was so shocked. Tiana shared clips on Snapchat of Katy hanging out with the family. The 16-year-old said Katy even introduced herself. Katy asked Grace to name her three favourite songs, and then performed an acoustic set for her with two guitarists. MY FRIEND HAD @KATYPERRY COME TO HER HOUSE FOR HER BEAUTIFUL SISTER! Grace was diagnosed with a brain tumour & is now going through rehab, This honestly melts my heart. And while she was there Katy also took one of the greatest snaps of all time. So the accidental Snapchat Katy took on my phone is everything!!!! Katy shared a clip of her with the family to her 71 million Instagram followers. 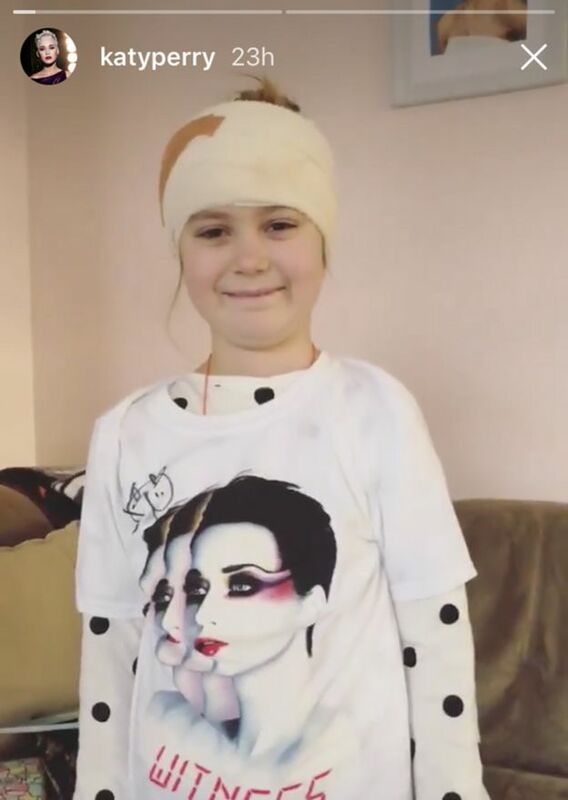 She called Grace her “new merch model” and showed the eight-year-old with a signed tour shirt.